Ships today if you order in the next 11 hours 1 minutes. 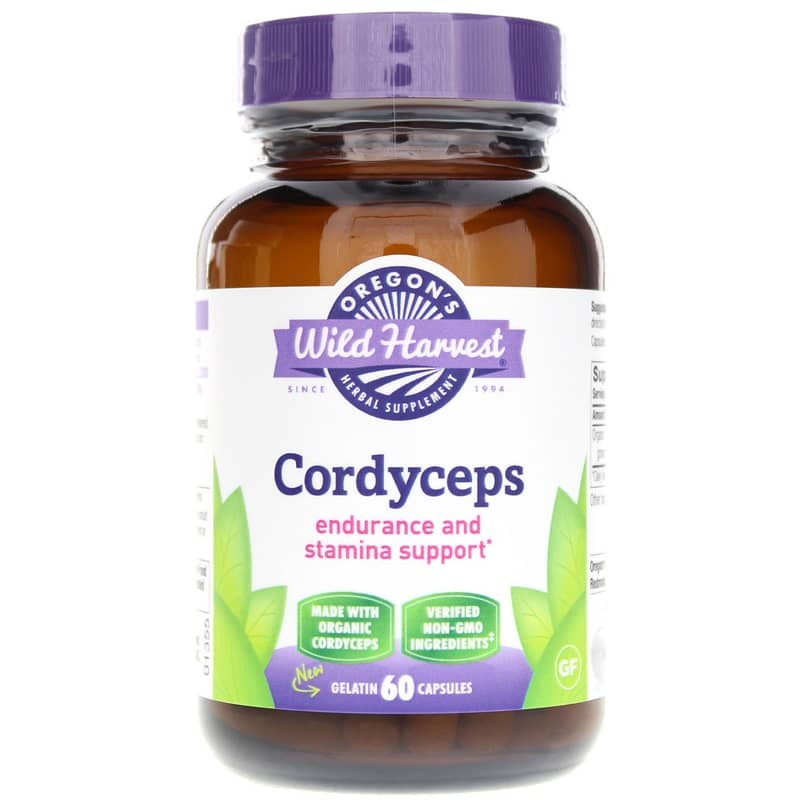 Get exotic, high-altitude support for vitality from right here in the U.S. with Freeze-dried Cordyceps from Oregon's Wild Harvest. Freeze-Dried Cordyceps is an all-natural vitality and stamina support supplement made from the unique fungus cordyceps, which has been organically grown in the Pacific Northwest. Part of Chinese medicine for over 2000 years, cordyceps has been used for a range of supportive purposes, including support of cardiovascular, respiratory and immune health. It's also used as an energizing tonic to support overall vitality and stamina. Originally found as a unique fungus on caterpillars high in the Himalayas, cordyceps can be grown on a variety of mediums. 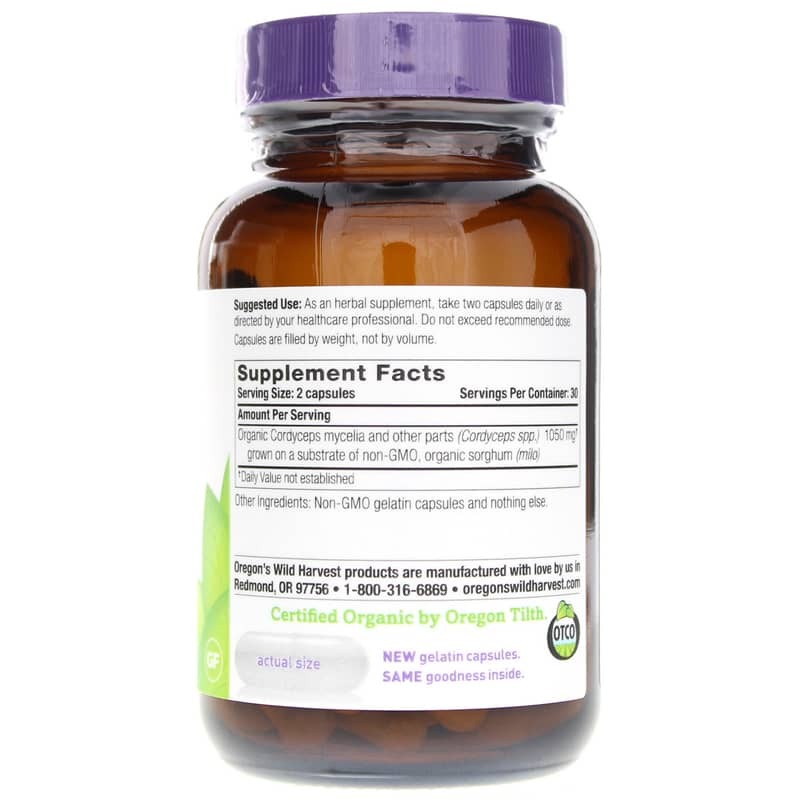 For optimal quality control, the cordyceps in this supplement is cultivated in the Pacific Northwest on organic brown rice under closely monitored laboratory conditions. After being harvested, it's processed using a gentle freeze-drying technique to preserve the natural beneficial constituents. It's nature under the perfect conditions! ---(Cordyceps sinensis) grown on a substrate of organic brown rice. 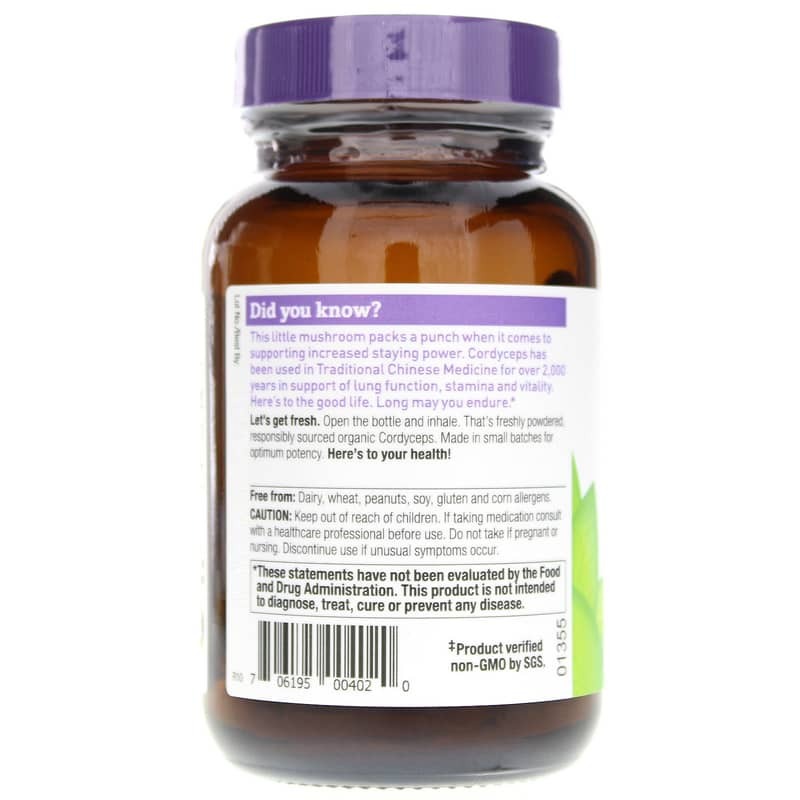 Adults: As an herbal supplement, take two capsules daily with or without food. Not recommended for use during pregnancy or while nursing until further research verifies no contraindications. Keep out of reach of children. Discontinue use if unusual symptoms occur. Do not exceed recommended dose unless under the guidance of a healthcare professional. I can't really say yet.